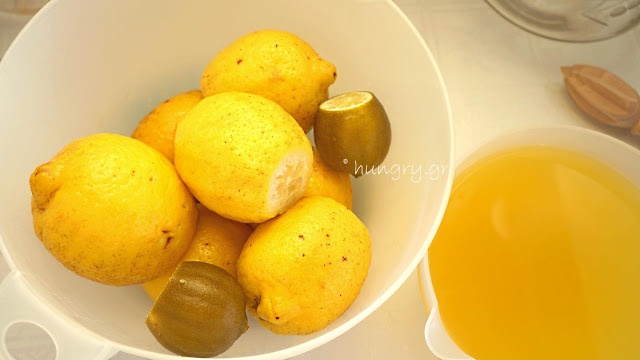 Thoroughly wash the lemons and cut a disc from the part of the stem. Put them in a large pot with plenty of water on high heat to boil for 15 minutes once boiling begins. Strain and from this, the first water, keep aside 1 full glass. Repeat boiling with hot water this time for another 10'-15'. 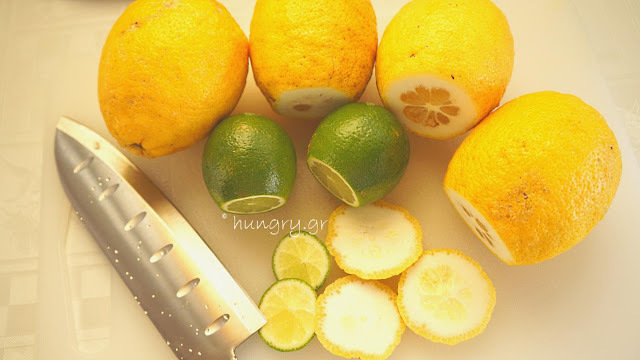 Saturate and taste, cutting the edge of a lemon a little. If necessary, put them in cold water, changing it 2-3 times, for 2-3 hours to get out the bitterness furthern. Do not boil. 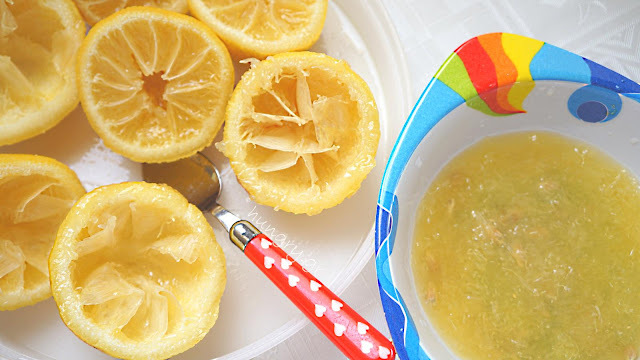 Once the lemons have cooled, cut them vertically in the middle and with a teaspoon, remove the pith of each lemon. 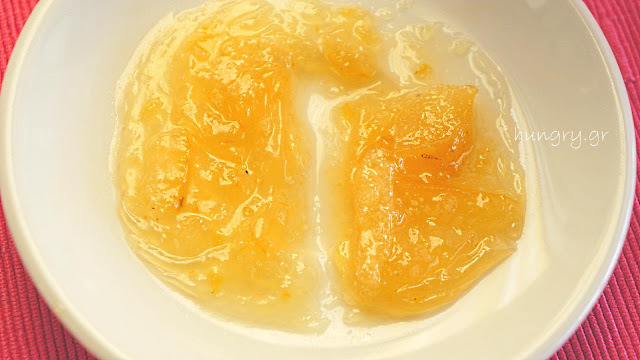 Also remove the inner peel and the lemon juice fibers and each of them is placed in separate bowls. 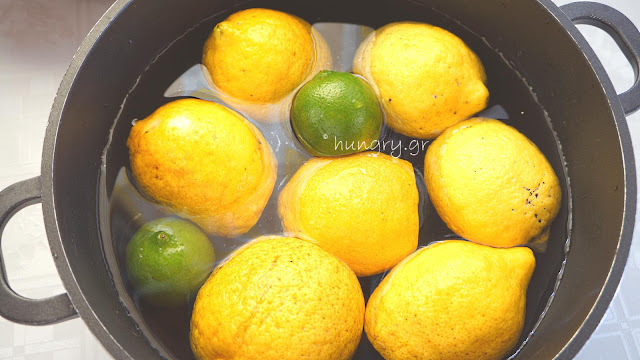 Pass the lemon juice through the strainer so that remove the seeds and all that is unnecessary. 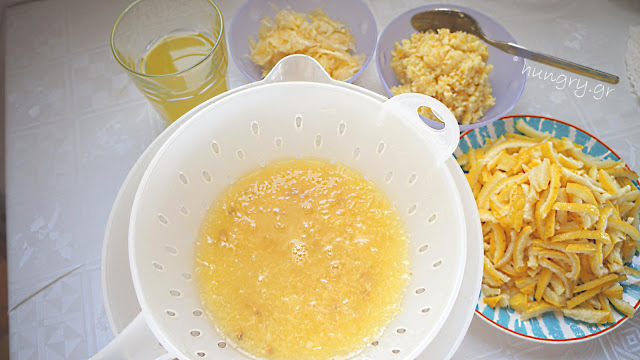 The ⅔ of the lemon-cleaned fiber is finely chopped into a junket (small sticks / matches). The rest of it is ground in the blender. 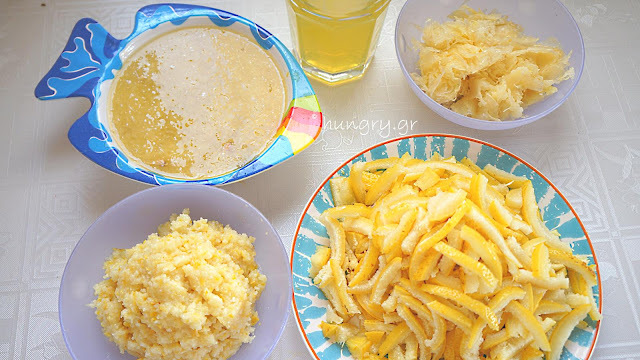 So we have the following ingredients assembled to make the lemon marmalade. Weigh the pure marmalade ingredients: lemon crumbs, lemon sticks and ground lemon juice. For every kilogram (2.2 lbs) of net weight we put 700 grams (1.5 lbs) of sugar. 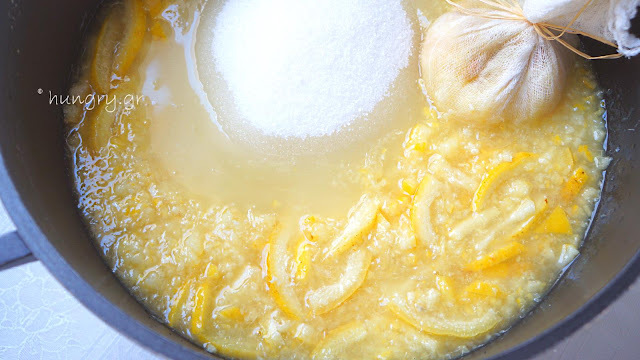 In large saucepan, combine the marmalade ingredients, sugar, broth from the first boiling and the cheesecloth with seeds and fibers to tie tightly the handle of the pot. 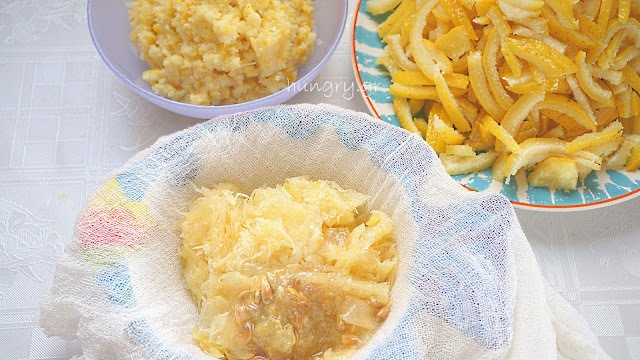 (Wrap lemon seeds and fibers in a muslin cloth). Boil for 10 minutes and remove the pot from the fire. Leave aside for 12 hours. 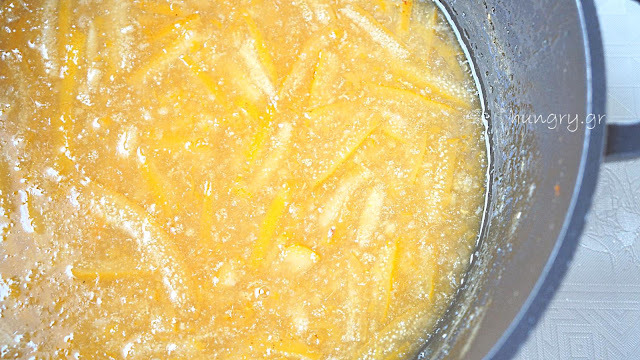 The next day cook the marmalade until it thickens. Boil for ~half an hour, stirring frequently (especially in the last 10'-15'). Whatever it looks like when boiling, when it cools it will thicken. 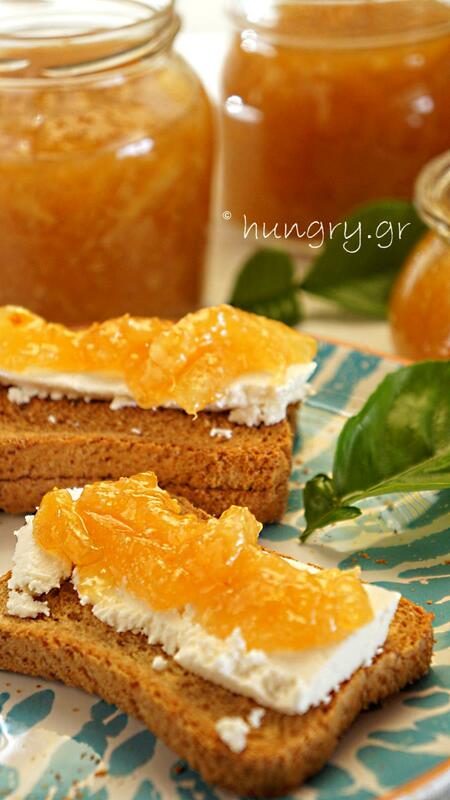 Test its denseness by putting a little marmalade on a cold dish (put it in the fridge) and with our finger open a "road" in the center of the marmalade. When it stands and does not close it is ready. 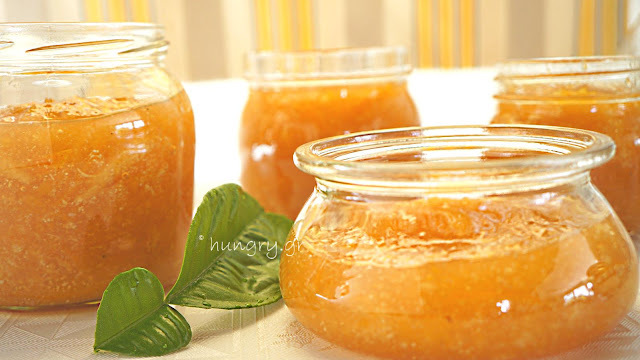 Fill sterilized jars and have the lavish but exciting lemon marmalade, enclosed in our jars for the whole winter. 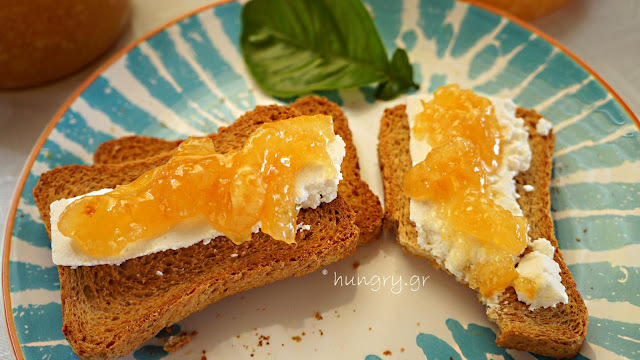 Test the result of our effort on toast with a slice of cream cheese! 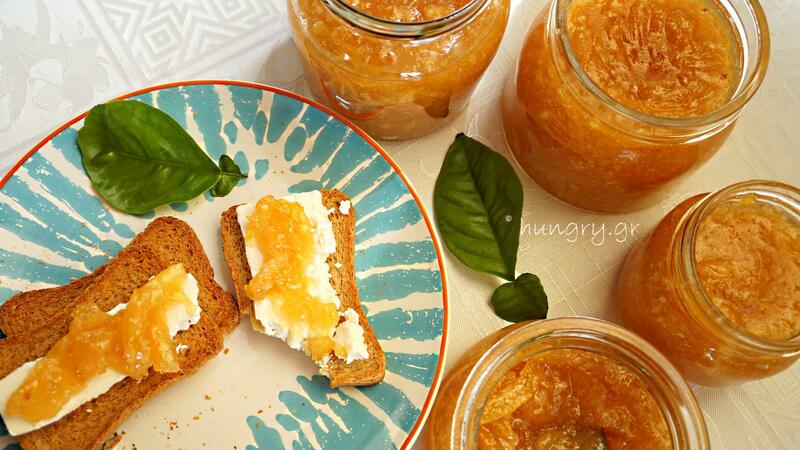 English Marmalade made from the golden gifts of the sun and imprisoned in beautifully transparent jars, which will complement our sweet and savory breakfast. 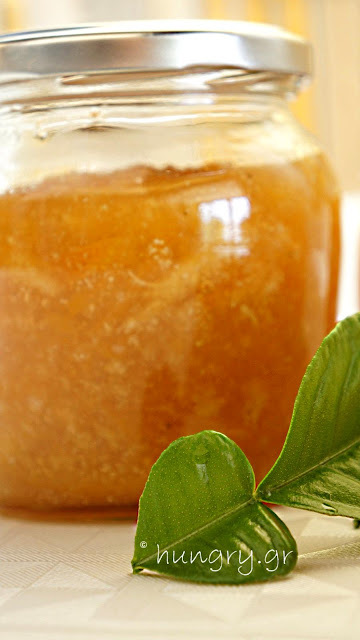 It will give us all the scent and flavor of citrus. Sweet taste, sour taste, and slightly bitter taste. All those that contain the same fruits from which it comes. 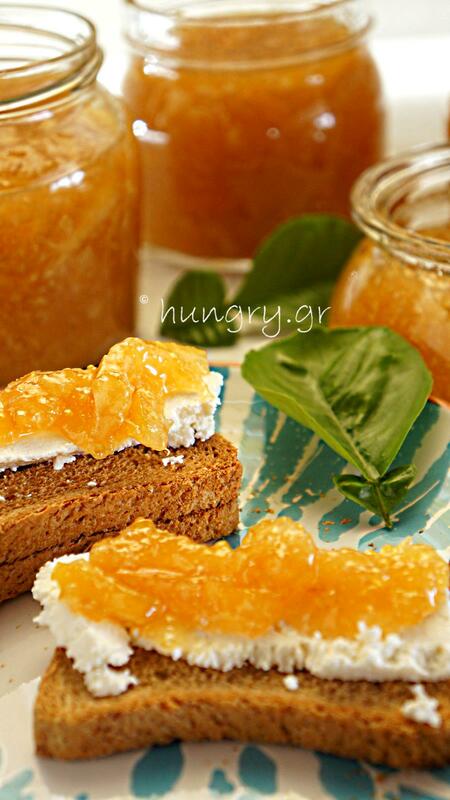 Citrus fruits are fruits, which contain enough pectin so the marmalade easily gets a thick and jelly texture. 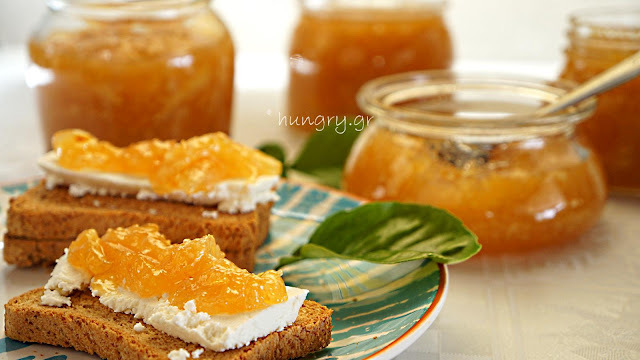 These wonderful oranges, blood oranges with red spots on skin and red flesh made marmalade and is one of the most beautiful in the red scarlet color, and perhaps the most delicious. Since childhood I was magnetized and impressed by the blood-red flesh! In the grand grove of the grandfather, there were almost all sorts of citrus - and various varieties for some of them - from citrus, which exported to Marseilles, lemons & muskelson to oranges, mandarins & egg yolks. Everyone with different tastes and sweetness but so beneficial to our body. 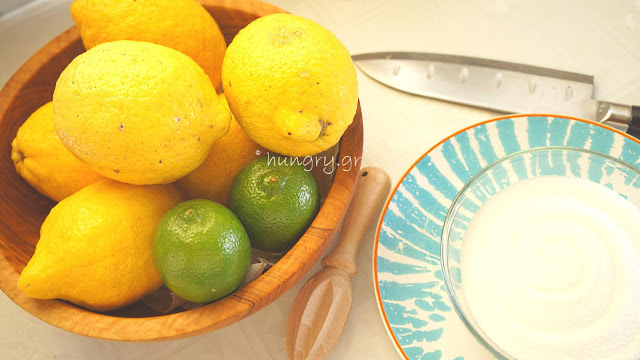 Since then I have loved these fruits and it was the season, though very young, I ate lemon cut at 4 and sprinkled with salt. From this magical world of our orange tree a part of it has come to my property, thanks to the generosity of the people who so fought with their land.